One of the main early interventions we offer within our Mental Health & Learning Disabilities Occupational Therapy service here in Dumfries and Galloway is the Home Based Memory Rehabilitation (HBMR) Programme. The HBMR Programme was originally developed in 2007, at Belfast City Hospital, by Occupational Therapist, Mary McGrath (McGrath & Passmore 2009). 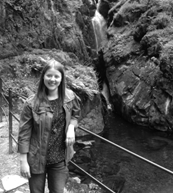 The HBMR programme is designed for people who experience memory difficulties which are impacting on their day to day life and to teach them techniques which compensate for these everyday memory difficulties. 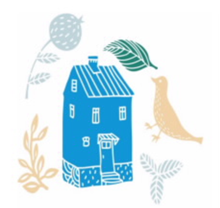 Our HBMR programme is delivered within the person’s own home with family (or other) support if available, over 4 – 6 sessions. The key to the programme is the structure and repetition. Each new session offers a revision of the one before to ensure people continue to use their strategies and are confident in doing so. So, what advice does the HBMR programme provide? For people living with dementia it can become more difficult to remember what you have done each day and to distinguish one day from another. A memory book can be a useful tool to remind you what they have done each day and also to help with orientation. The day, date, month and year should be written at the top of every page, and always start a new page for each day. Carry a notebook and pen with you at all times. You’re more likely to remember information you have written down, it also means if you can’t remember then you have a written record of what you’ve been told. Write down things like appointments, events or invitations with the time and date. A notebook can be used to write shopping lists or tasks you have do to i.e ’take library book back’. You should mark off what you have done on your list with a tick or cross it out. In the programme we offer advice and hints and tips for reminders, here are three people have found helpful. 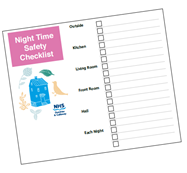 A safety checklist can be used to record tasks that a person completes each evening before going to bed. This might be; lock the doors, close the windows and make sure electrical equipment is off. The safety checklist should be kept somewhere that you will spot before going to bed. A going out prompt card can be used to remind the person with dementia of items they will usually need when they leave the house. This could include a list such as; mobile phone, purse, keys etc. This could be stuck to or near the door so they can check each time they leave. A timer on a mobile phone can be used to set reminders for things such as take out the bins or for one off appointments. An egg timer can also be helpful to prompt when something has finished cooking or when the washing machine is going to finish. We’ve had lots of positive feedback about the programme from people living with dementia and their family members. 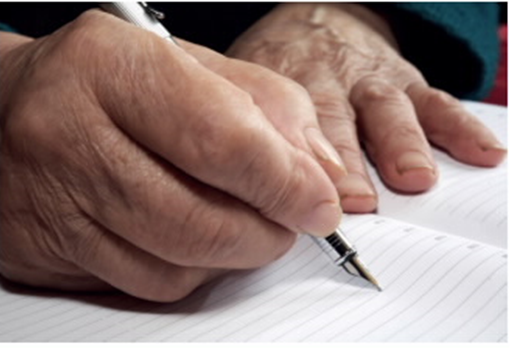 For example, one gentleman has reported that by using his memory book every day it has improved his writing skills and his conversation with his family. This is just a small selection of strategies we suggest as part of the HBMR programme. I am always interested to hear other strategies people have tried which have made a difference. If you are living with dementia or a family member, what things do you find helpful? What tips would you offer others who may also be living with dementia? I have been working with the Dumfries and Galloway OT team for nearly four years, part of my role involves supporting people with dementia to keep doing the things they want and / or need to do in their day to day lives. This includes working with person to help maintain their independence, skills and confidence. As well as my involvement with early intervention and the HBMR programme, I was also part of the pilot group of Occupational Therapists trained in The Tailored Activity Programme.